Park It! 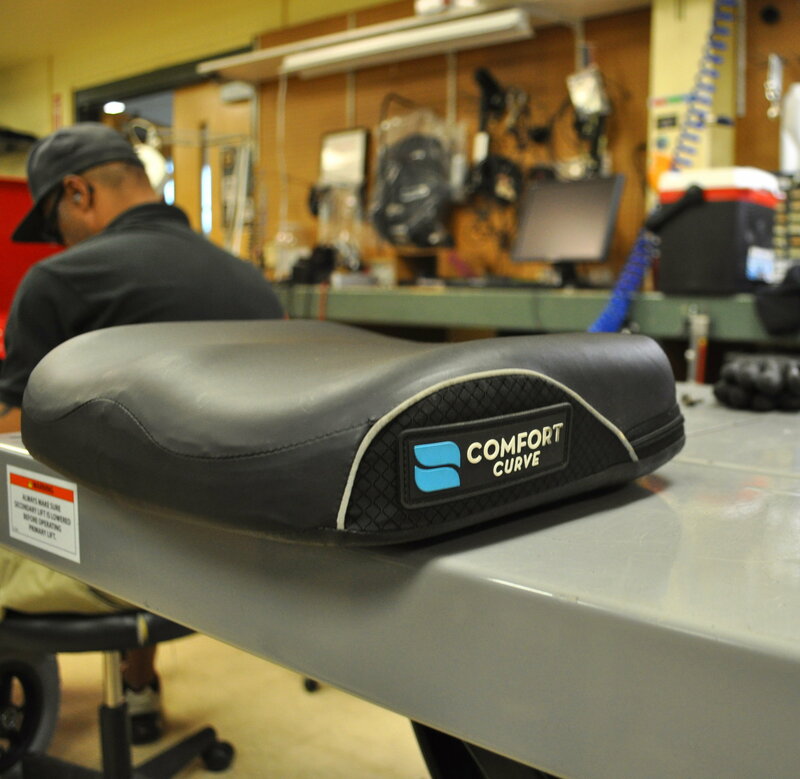 Seat Cushions And Your Health | Custom Mobility Inc. When somebody mentions a seat cushion to you, what are the first thoughts that run through your mind? I imagine that most people think of comfort, right? 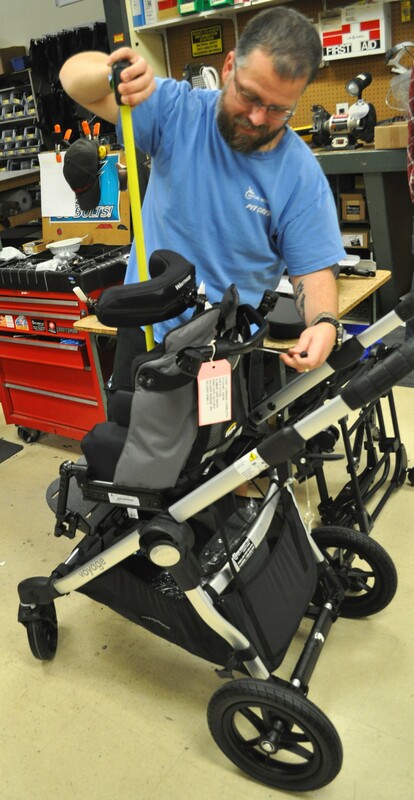 While comfort is important, wheelchair users and their physicians need to consider much more. Let’s explore the importance of choosing the proper seat cushion. There is a large range of seat cushions, all meant to serve a wide variety of populations. How complex can it really get? 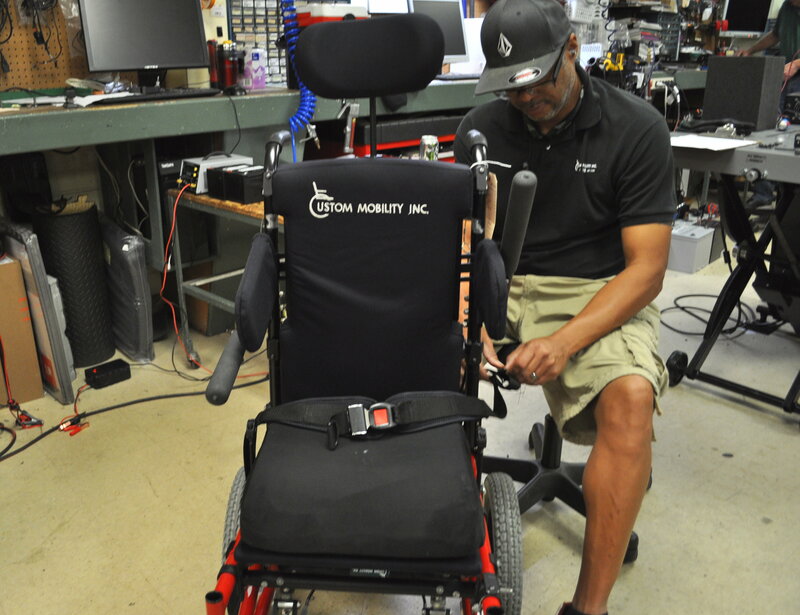 It’s easy to forget that wheelchair users don’t merely “sit” on these devices. We live on them. So, how do you determine the “right” seat cushion? That decision isn’t made by a single person; instead, you decide on a solution with your therapist or Assistive Technology Professional (ATP). Since your needs are unique to you, your therapist or ATP will need to consider a variety of factors, including: activity level, habits, nature of limitation and condition, practicality, age, diet, and hygiene care. 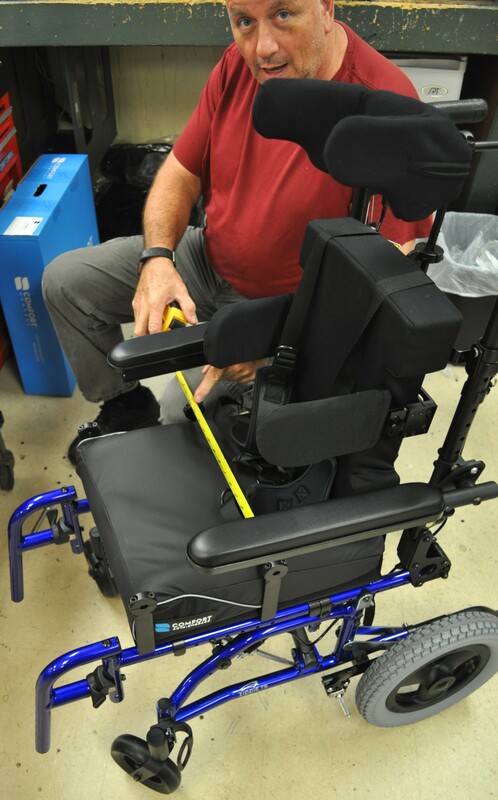 For additional information regarding the importance of seating, take a look at this blog post: https://www.custom-mobility.com/blog/take-a-seat. 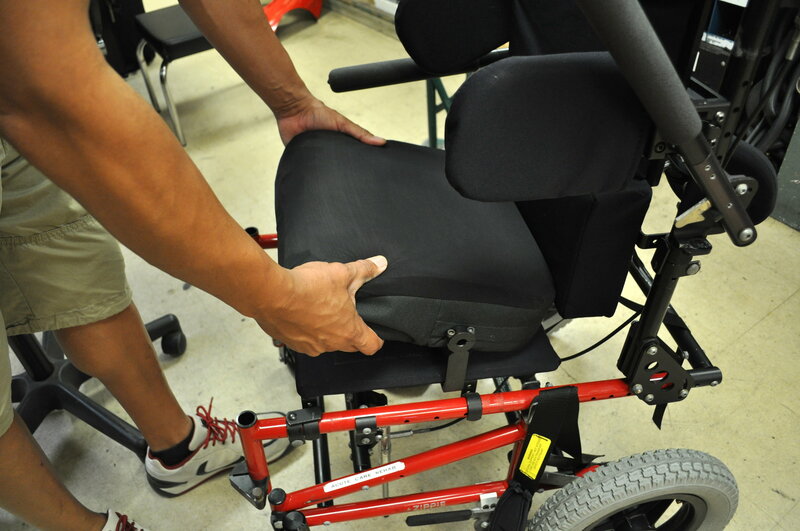 For wheelchair users, there are four, main types of seat cushions: foam, gel, air, and fluid. Each of these solutions can be drastically different, and may offer solutions for particular populations of users. Chances are that, if you’ve seen a wheelchair cushion, it was made of foam. Therapists and ATP’s like these cushions because they tend to be less expensive, less complex, and lightweight. Foam is perfect for offering a stable, seating surface. Often, these cushions are practical solutions for individuals don’t require much intervention in the realm of seating and positioning. They usually have have the same level of density throughout the entire surface area. 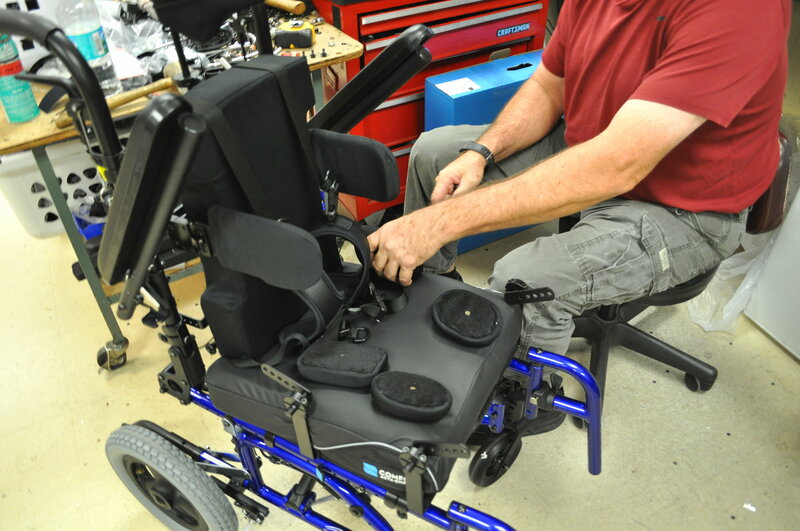 Foam cushions also rest on a contoured base and offer multiple levels of foam, with a variety of firmness levels.These cushions are common amongst manual wheelchair users, who often transfer from their wheelchairs to: cars, other chairs, and even the floor. I actually use a gel cushion, which is made from a more compact material than foam cushions. This variety offers a nice, malleable surface for pressure points to rest. Sitting on top of the gel reduces shearing forces and cools the skin. While the gel is malleable, the inner material doesn’t move around as well as the filling of fluid cushions. I’m pretty active and transfer from my wheelchair a number of times throughout the day. In my particular case, I required a solution that would allow me to remain active, but needed more support than a foam cushion could provide. Air cushions fit a very, specific need. While they are the most unstable variety of seat cushion, they do offer low-impact pressure relief. What’s nice about air cushions, is that they tout an adjustable level of firmness. This quality can be great if the user’s needs change, in relation to seating and positioning; however, their upkeep may be a little more involved. It might be more difficult to maintain air pressure. They are also susceptible to puncturing, which can deflate the cells in the cushion, and leave the individual without pressure relief. Fluid-based cushions are widely used, and are often confused for their gel counterparts. They don’t require the level of maintenance necessary to maintain air cushions. When it comes to relieving pressure areas, fluid cushion are as efficient as air cushions. While the user sits on top of gel, they are enveloped by fluid. This feature is perfect for individuals that need to be immersed in their cushions, which offers a unique form of supporting the body. To get the longest life out of your seat cushions, which is usually about two years, maintaining them is vitally important. Your cushion will last longer if it is kept away from fluids, which can be even easier if you use an incontinence cover. For those who use foam, gel, and fluid cushions, it’s a great idea to perform a regular check for tears, rips, or any, other kind of wear. For people who use air cushions, it’s probably a good idea to make daily check of the air pressure. At first, this information may be a lot to take in. Over time, this knowledge will certainly become second nature. If you are experiencing any difficulty concerning your seat cushion, or if you have general questions, please feel free to give us a call at: (727) 539-8119.